If you are anything like me, you can finally start to breathe again. 70 degree temperatures in February and it feels so good!! 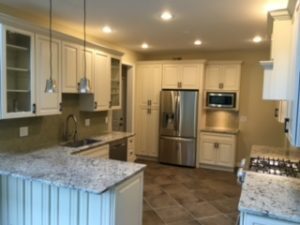 With the warm weather rapidly approaching, it is the perfect time to plan for your home remodeling projects, whether it is a kitchen, bathroom or basement remodeling project. Who are you going to call? Myles Albert of Interior Excellence. Call Myles at (908) 218-0200 and schedule your free in-home estimate today.